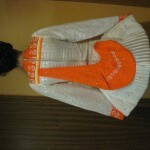 The dress is in excellent condition, been used for six months. 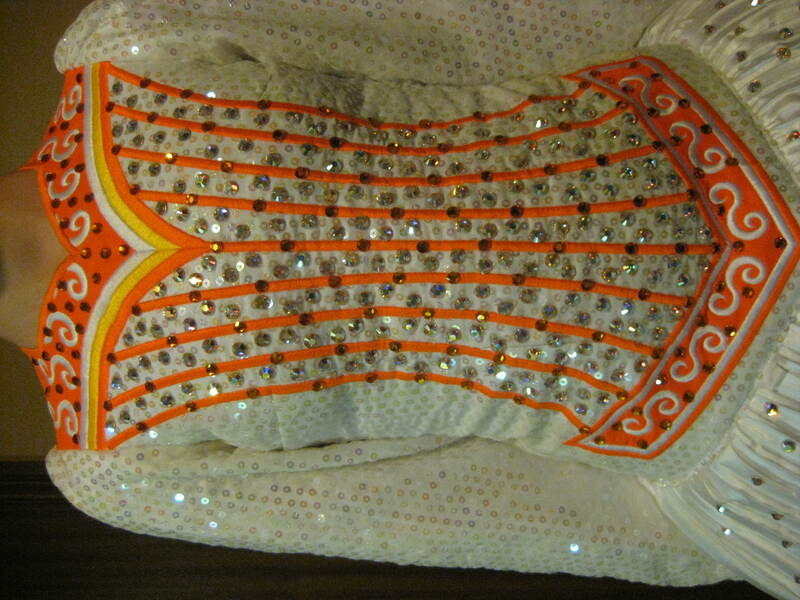 It is a white dress, sequence slieves with orange cuffs, the bodice of the dress has orange designs and the skirt has thin pleats covered in over 500 diamonds. 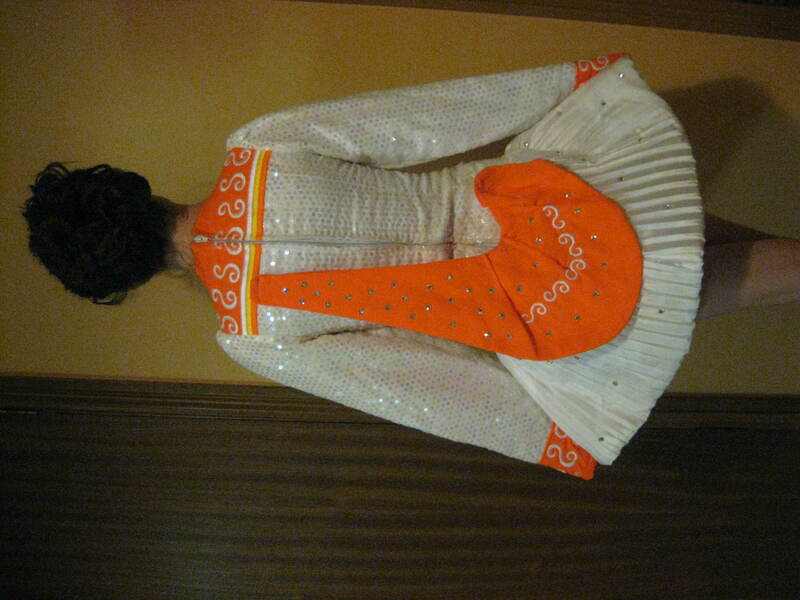 The back of the dress is white with the bodice covered in sequences and the skirt with diamonds. 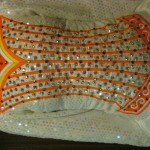 The shall of the dress is orange, with small white deisgns, and also has diamonds.